Inter Milan head coach Luciano Spalletti has challenged his players to believe that they deserve to be right in the thick of the Serie A title race this season. Spalletti was speaking after seeing his side earn a goalless draw at Scudetto rivals Juventus on Saturday evening, with the result enough to keep the Nerazzurri top of the table ahead of the games on Sunday. 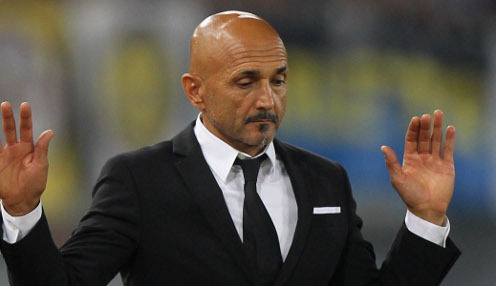 However, the vastly-experienced Spalletti was not entirely satisfied, as he felt that some of his squad still looked unsure about their standing in Italian football. He told Mediaset Premium: "When you leave Turin with a point and a clean sheet, that's positive, but we've got to hurry up and realise we earned this clash because we've got the quality to be top of the table. "We're coming off three seasons where the gap from the top was massive. Now we have played 16 rounds and created our identity, but at the same time some look as if we don't entirely believe we're up there. "We should instead ask ourselves why we didn't win? We had the chances to do it and must realise we have so much more potential to express. "If we don't give our all, it becomes difficult to achieve success in a league like Serie A." Inter, who are unbeaten in 16 league games so far this season, are available at 12121/1 to be crowned Italian champions this season, with Juve priced at 1/10000 and Napoli a 50/1 shot. Napoli, who are two points behind Inter, have the chance to go top of the table on Sunday when they welcome Fiorentina to the San Paolo.